You believe life CAN be a joyous place. You’ve got the lemons, now you just need a little help squeezing them. 365 Ideas to Enjoy Your Life Today will help you laugh deeper, love the mundane, and dispel the belief that play cannot be incorporated into all that you do. You want to love your life more; this playbook provides the tools to do just that. This book is an invitation to appreciate your life, to live in the moment, to use your five senses, to love, to pass time sweetly, to accept yourself, to inject play back into your life, to infuse your daily rituals with joy. A brisk read that’s illustrated with beautiful imagery and aphorisms, we’re gently reminded what we were put on this earth for: to enjoy it. 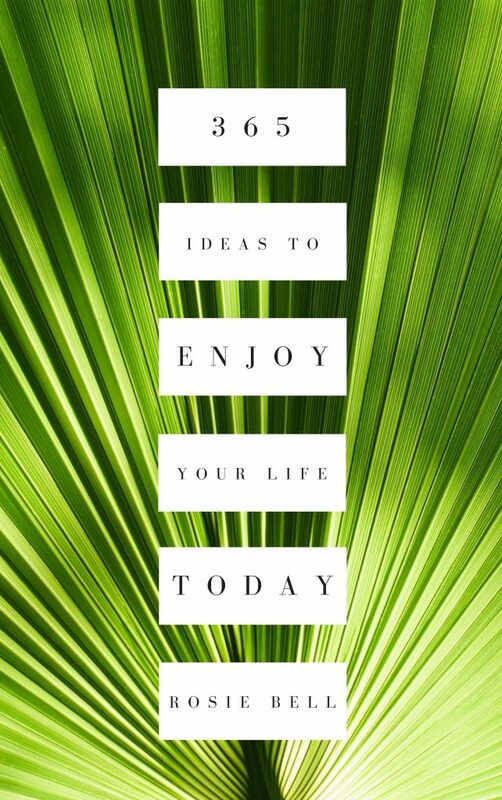 Get the premier edition of 365 Ideas to Enjoy Your Life Today, in full colour and accompanied by breathtaking imagery. Feeling good is natural, so let's feel good.